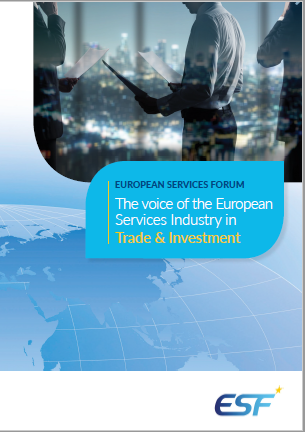 EU-US TTIP | "The Voice of the European Services Sectors in International Trade"
ESF adopted its “Position Paper on Regulatory Cooperation in TTIP: The case of the services sectors” on 17 November 2014. European Services companies are very keen in seeing concrete progress on regulatory cooperation in TTIP, not only in the goods sectors but also and foremost in the services sectors, including but not only the financial services sector. Services sectors are all regulated and an agreement with regulatory cooperation commitments that would not encompass strong cooperation among regulators of the services sectors would not make much sense in our modern economies where services represent more than three quarter of our GDP both in the EU and in the US. See the Position Paper here. The European Services Forum posted the replies of the European services industry to the Commission Public Consultation on Investment Protection in the Transatlantic Trade and Investment Partnership (TTIP) on Friday, 11 July 2014. ESF welcomed some new proposals of the European executive, but expressed many concerns towards introduction of signifiant narrowings of the protection to investors, notably in the definition of investments, in the interpretation of the guarantee for “fair and equitable treatment”, in limiting the role of the arbitration tribunal, in excluding financial services from a standard protection, in introducing new risks of politicisation of cases, while the fundamental essence of ISDS is to ensure a neutral forum for dispute resolution, etc . In a Joint Statement adopted today (22 May 2014), at the occasion of the fifth negotiating round of the Transatlantic Trade and Investment Partnership (TTIP), the US Coalition of Services Industries (CSI) and the European Services Forum (ESF) call upon the EU and US policy makers to ensure that the importance of trade and investment in services is duly reflected across the TTIP negotiations, particularly in the market access commitments, rules chapters and annexes, and in a regulatory cooperation framework. 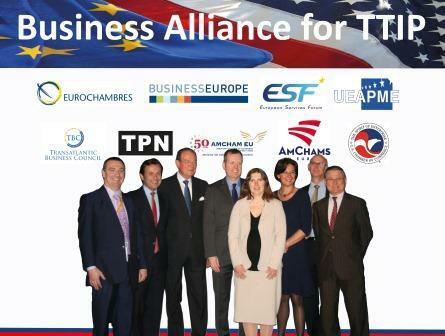 Business Alliance for TTIP urges Transatlantic Trade and Investment Partnership (TTIP) Negotiators to Remain Ambitious. A comprehensive agreement could reinvigorate the European economy and create jobs. Markus Beyrer, Director-General, BUSINESSEUROPE, noted, “TTIP is an optimal tool to bring the transatlantic economy back on track towards sustainable growth. It is an opportunity for businesses as well as the 800 million consumers who will enjoy a broader choice of high quality products and services while benefitting from highest levels of safety and environmental standards.” See Joint Press Statement. “Ahead of the forthcoming stocktaking of the Transatlantic Trade and Investment Partnership (TTIP) negotiations between the EU and the United States [which will take place in Washington on 17th & 18th February], the European Services Forum urges you to continue the negotiations at high speed and with high ambition” said Sir Thomas in a letter sent to EU Trade Commissioner Karel De Gucht and Ambassador Michael Froman, United States Trade Representative on 11th February 2014. On 14 June 2013, EU Member States gave the European Commission the mandate to start trade and investment talks with the United States. The launch builds on the report of a High-Level Working Group on Jobs and Growth, published in February 2013. In March 2013, the European Commission proposed negotiating guidelines to the Member States and released an impact assessmenton the future of the EU-US trade relations and an in-depth independent study on the potential effects of the EU-US TTIP. When negotiations are completed, this EU-US agreement would be the biggest bilateral trade deal ever negotiated – and it could add around 0.5% to the EU’s annual economic output. The EU and the US economies account together for about half the entire world GDPand for nearly a third of world trade flows. In 2011, the EU imported 140.1 Bn€ of services from the USA and exported 145.5 Bn€ to the USA, i.e. seven times more than with Japan, which makes a benefit of 5.3 Bn€. 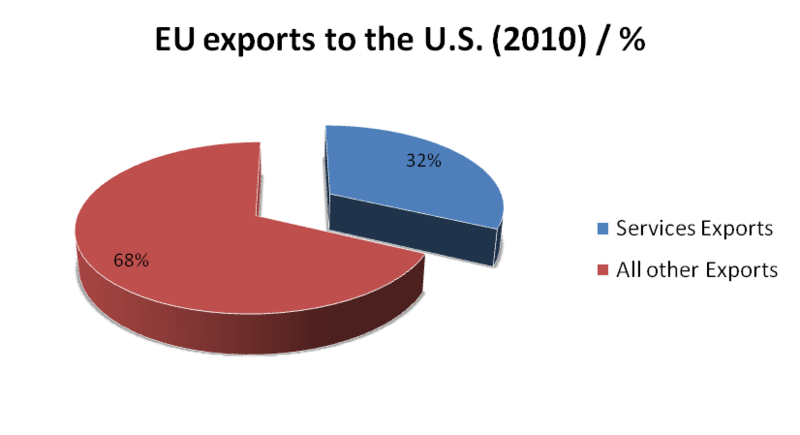 The US accounted for 23.9% of all extra-EU services exports in 2010 and 30% of extra-EU investment stocks in 2009. 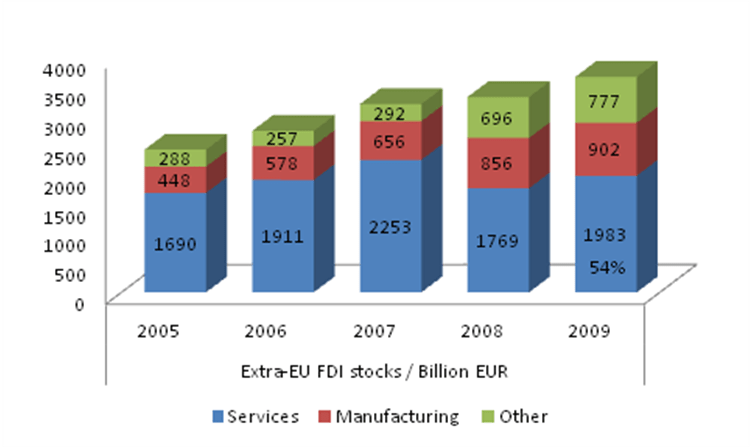 In 2009, 54% of Extra-EU FDI stocks were invested into services. 32% of EU Total export to the USA in 2010 were services. Furthermore, the EU accounts for 36% of all US services exports, demonstrating the importance of services in any future trade negotiations on both sides of the Atlantic. The European services sector sets out its interests and priorities in the EU-US High Level Working Group (HLWG) in its submission to the European Commission’s public consultation. The HLWG will produce an interim report mid way through 2012 and final recommendation at the end of the year. The European Services Forum (ESF) and the US Coalition of Services industries (CSI), representing the exporting and investing services companies of the EU and of the US, welcomed the joint consultation made by the European Commission and the US Government on this important issue and decided to undertake a thorough consultation among theirs members before responding to this consultation. on 12 November 2012, the ESF/CSI adopted, for the first time a joint paper on bilateral issues, a Joint Response to the EU and US call for input on regulatory issues for possible future trade agreement. 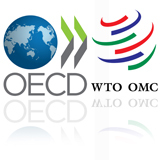 We believe that if the High Level Working Group wishes to create a real transatlantic services market, it must establish meaningful and outcome-driven regulatory cooperation in appropriate services sectors, involving not only regulators at EU and U.S. federal level, but also regulators at sub-federal level and EU Member states level, i.e. wherever the regulators are. On 16th May 2013, at the context of the 11th European Business Summit, BUSINESSEUROPE, EUROCHAMBRES, the European Services Forum, the European Association of Craft, Small and Medium-Sized Enterprises (UAPME), the Transatlantic Business Council (TBC), the Transatlantic Policy Network (TPN), the American Chamber of Commerce to the EU, AmChams in Europe and the US Chamber of Commerce launched the Business Alliance for a Transatlantic Trade and Investment Partnership (TTIP). Members of the Alliance will work together to ensure the realization of a comprehensive transatlantic trade and investment agreement that will boost the economies of both continents and worldwide. On 10 May 2013, ESF adopted his Position paper on the Cross Border Data Flows. The fast growing innovation in information and communication technology (ICT) is clearly one of the most dynamic elements in the development of the world economy in the last decades. The normal functioning of the digital economy requires the routine movement of large amounts of personal data, within the domestic economy, but also in this global world, across borders, including between the EU and third countries. ESF and ESF Members are following closely the development of the proposal for a Regulation on the protection of individuals with regards to the processing of personal data and on the free movement of such data (General Data Protection Regulation). This Paper however only focusses on the international dimension of the digital economy and the how notably the trade policy can contribute to ensure common disciplines for a smooth cross border data flow in a globalised world.